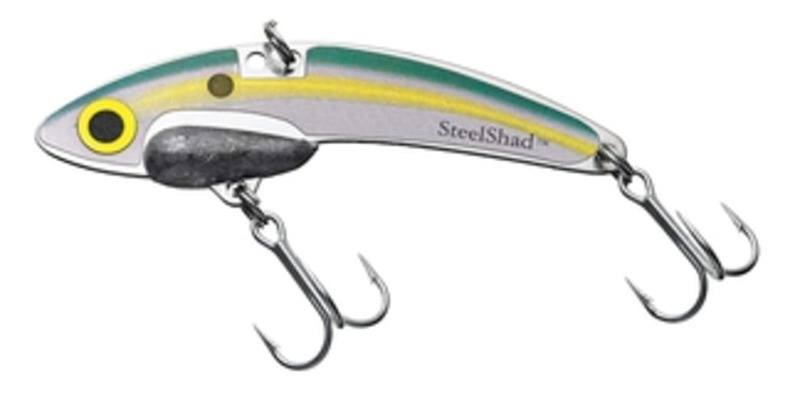 Why do blades adorn so many different lures designed to catch so many different types of fish? Three reasons: flash, vibration, and sound. 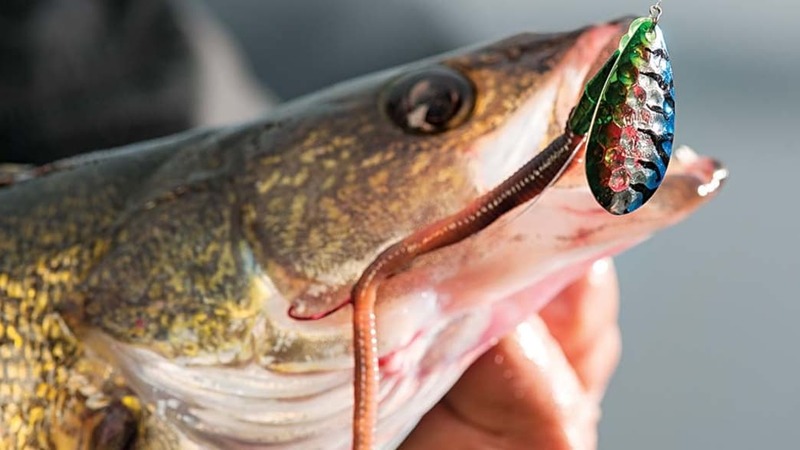 It doesn’t matter if it’s the tiny teardrop of a walleye spinner or the massive bangle on a muskie bucktail, blades of all shapes and sizes send thumping underwater signals that make big fish hit. All kinds of big fish. 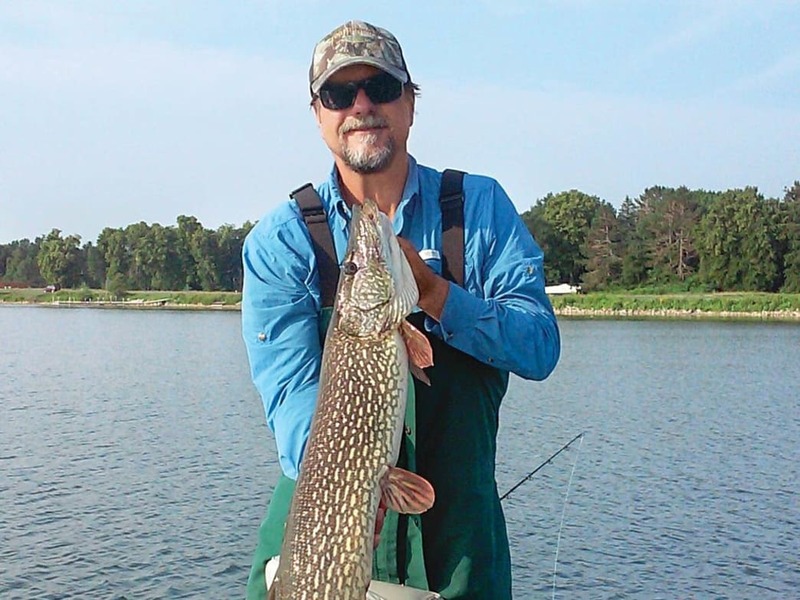 Spinnerbaits win bucketmouth tournaments and pull monster pike from northern bays. Bucktails catch more muskies than every other lure combined. Spinner rigs are the classic choice for trophy walleyes, and blade baits dupe the biggest smallies. While blades work year-round, their ability to draw reaction strikes in the spring is unmatched. With northern lakes just past ice-out and southern ones yet to warm, lethargic fish can be incredibly difficult to catch. They need something to wake them up, get their attention—even piss them off a little. And nothing agitates big spring fish more than a vibrating, flashing, annoying piece of spinning metal. With so many ways to run so many different bladed lures, we asked four of the country’s top trophy-fish hunters to reveal their No. 1 spring blade tactic. Here are their secrets. 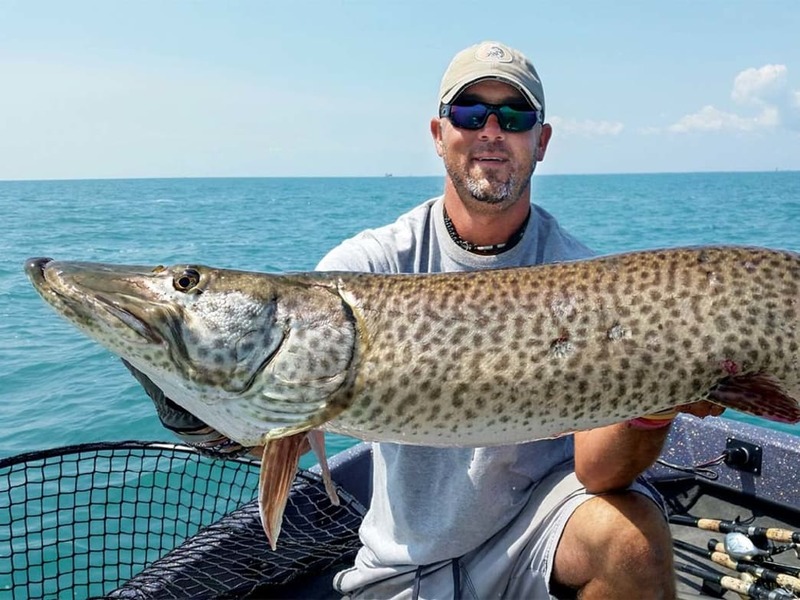 Lake Mille Lacs is renowned for its toothy predators, and while longtime area guide Steve Scepaniak focuses mainly on the lake’s muskies in summer and fall, he turns his full attention to huge pike early in the season. “There’s no better time to score a giant than in the spring,” he says. Running bucktails for muskies often involves huge, double No. 10 ­Colorado blades. But not at this time of year, says Mike “MJ” Hulbert, who’s known for boating trophy muskies. “In spring, I throw small, weighted bucktails at stupid warp speed to get reaction strikes from fish that aren’t yet fired up,” he says. Regardless of where you are, muskies will spawn in the weeks after ice-out in back bays and shallow flats—and that’s where they’ll stay for a while, recuperating in a lethargic post-spawn phase. “I try to pick them off before they head back out to open water,” Hulbert says. “I focus on rocks, riprap, and newly emergent green weeds in 3 to 6 feet of water.” Weather can be a huge factor too. “I’ll start targeting these fish when the water creeps into the 60s, but I also pay particular attention to warming trends, when the water may spike a few degrees,” he says. Southwest winds and rising humidity usually mean better action too. No matter what the conditions, the real key lies in getting these torpid, zoned-out, post-spawn giants to wake up and react. That’s where burning small bucktails comes in—but there’s a trick. In order to achieve warp speeds while still keeping these relatively light baits under the surface, Hulbert puts some weight on. “No factory bucktail is heavy enough for this application,” he says. “If you’re a tinkerer, you can cut the shaft of the bucktail, slip on a 3⁄4-ounce egg sinker, and retwist.” If not, just attach a 3⁄4-ounce bell-shaped bass-casting sinker with a small split ring, placing it near the skirt where it won’t impede the blade action or hookup ratio. 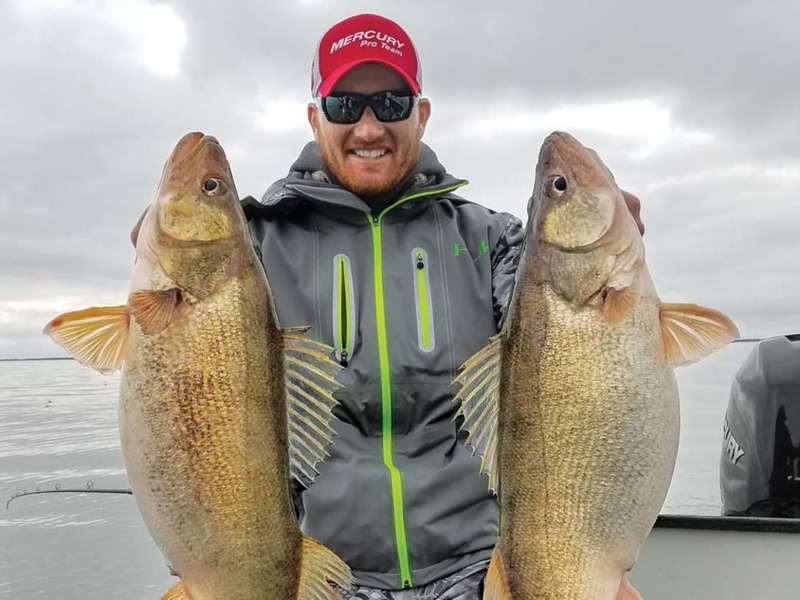 Lake Erie is synonymous with donkey walleyes, and no one is better at catching them than guide Ross Robertson. “In April and May, I’m buying nightcrawlers and fishing spinner rigs,” he says. “Crankbaits can smoke fish under certain conditions, but trolling a spinner rig gives me the versatility to catch fish all day during various stages of the spawn.” The spinner’s blades get a walleye’s attention, but even if that fish is finicky, the scent of live bait combined with a slow presentation often seals the deal. “The crawler is the closer,” says Robertson. Walleyes are slow-moving now and often glued to the mud. “Spinner rigs can be trolled on or just off the bottom to reach them,” Robertson says. 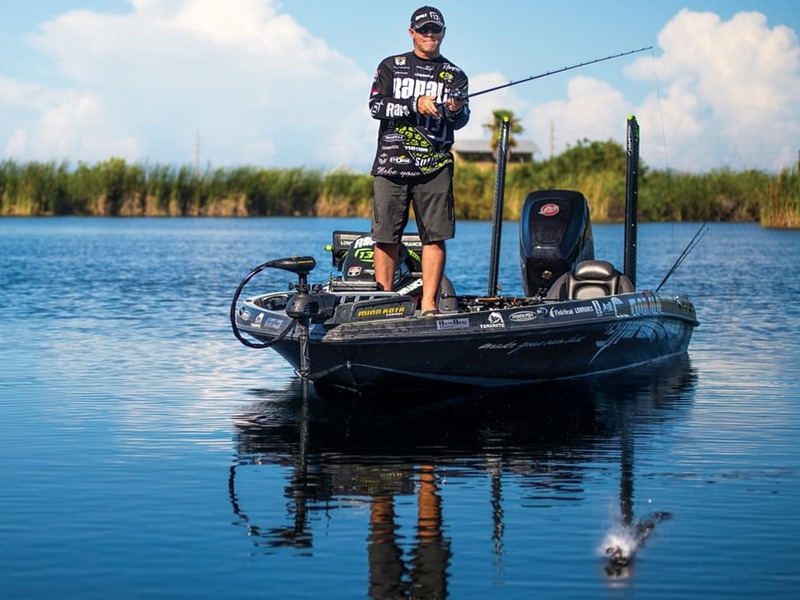 “The key is to make very subtle changes in boat speed to vary the depth and get your rig where the fish are.” Speeding up or slowing down even 0.1 mph can have a huge impact. “As a rule, 1 mph is a good place to hover,” he says. Then just add or subtract. But not too much: “At any speed lower than 0.7 mph, the blades stop spinning; faster than 1.4 mph, and the rig lifts too high off the bottom.” The trick is to find the sweet spot. You’ll know when you get it right, Robertson says, because you’ll start slamming walleyes. For largemouths, Lefebre focuses on structure in 2 to 5 feet of water. “Old dead grass from the year before or new emergent grass will attract spawning fish,” he says. He starts with the deepest grass first, focusing on any irregularities. As the water warms, he again moves up and dissects the flats, looking for holes, sand, and grassbeds. His approach here is similar to that of working a bass jig. “I pitch the blade out to the target, let it fall to the bottom, snap it up a few times, and repeat,” he says. If the bait catches grass, give it a sharp pop to clear the hooks and continue your retrieve. Written by Mark Modoski for Field & Stream.